Here are some articles we’ve been sharing in social media this summer. The messages are so helpful, we think they deserve an encore. Peruse away, and take note of whatever is helpful! One career consultant who maintains that 25 percent of youth are unemployed has some strong ideas about why this is so – and it’s not just about the economy. (Hint: one reason has to do with assuming you can’t get a job without graduating from a university.) See what you think about his assessment at http://www.careerealism.com/youth-unemployment/. It seems like a no-brainer, but educators across the nation are placing a growing priority on preparing students for college and careers, and at an early stage in a student’s school life. See why it’s never too early to start planning for the future in this story at http://edsource.org/2015/career-guidance-helps-students-figure-out-their-paths/80474#.VWXH7s_BzRY. We understand that not everybody has a career picked out by the age of 15, or even 18. Still, the Bureau of Labor Statistics agrees with DCPSS partners that it’s never too soon to start thinking about rewarding ways to make a living. But instead of making it a chore, the bureau has a page that should inspire that kind of thinking early and often. See if you agree by exploring http://www.bls.gov/careeroutlook/2015/article/career-planning-for-high-schoolers.htm. One of life’s most nerve-wracking experiences is one that has a lot riding on it. We’re talking about the job interview, which has pitfalls for even the most experienced employees. For first-timers, it’s particularly important to get some basics right. Pick up pointers that can make a difference at http://jobsearch.about.com/od/interviews/tp/jobinterviewtips.htm. The tips are simple, they are focused, and they work. EducationPlanner has a career planning checklist for high school students that breaks the process into simple steps. There’s also a section for parents and counselors – and middle school students, too. It’s a great tool, and it’s at http://www.educationplanner.org/students/career-planning/checklists/high-school.shtml. Here’s an interactive website that’s part of the U.S. Department of Labor’s toolbox on training. Use it to explore youth programs, CareerOneStop and other programs geared to research options to help make you career career-ready. Tons of resources are at http://www.dol.gov/dol/topic/training/index.htm. “Mom and Dad, I’m bored.” Little kids look to parents for activities, but teens probably won’t. That doesn’t mean they can’t use a nudge in the right direction to stay sharp and focused. These tips are geared toward summer vacation but are good for any extended periods at home or during vacations. Get some ideas on what to do about that at http://www.ed.gov/blog/2014/04/how-to-keep-your-teens-learning-this-summer-2/. What are we as a nation doing to reach out to the 6.7 million youth defined as “disconnected” – meaning those between the ages of 14 and 24 who are homeless, in foster care or involved in the justice system, and who are also neither employed nor enrolled in an educational program? Find out about efforts that can apply to Douglas County disconnected youth by going to http://youth.gov/youth-topics/reconnecting-youth. According to a California community college chancellor, half the people nationwide who go into STEM careers started not at four-year universities, but at community colleges. That makes two-year colleges great places to host campus events emphasizing agencies’ STEM links and programs. Read more about a session on “Community Colleges: STEM’s Secret Weapon” at http://www.usnews.com/news/stem-solutions/articles/2015/07/01/outreach-from-community-colleges-helps-to-build-stem-pipeline?int=a66309. Take a quiz at http://stemtype.stemjobs.com/#/assessments/1 to see what STEM type you fit – advisor, designer, explorer, integrator, investigator, maker, producer or solver. The site will then direct you to occupations to match your interest as well as resources you’ll need to follow those paths. Did you know that Umpqua Community College is a great starting place for high school students to get information on classes, programs, scholarships and options for post-secondary training and education — even for those students who might not end up going to UCC? UCC’s High School Connections web page has information for students, parents and faculty ranging from details on community and workforce training to programs for low-income students who are the first in their families to consider college. Find out more here: http://www.umpqua.edu/high-school-connection/94-high-school-connections/356-high-school-connections-students. Got some spare time and skills to share? News-Review columnist Ada Duncan has summarized some of the 80-plus volunteer opportunities in the area that are described in www.JustServe.org, a website created by nearly 30 Roseburg-area organizations. The variety of sites and jobs is such that you’re sure to find a worthy occupation that fits well with your schedule. See the full article at http://www.nrtoday.com/news/17172538-113/volunteer-opportunities-wide-array-of-volunteers-needed. Response was so positive from our June workshop that we’re presenting it again Sept. 18. “Building Developmental Relationships With Youth We Serve” used tools from The Search Institute to help adults learn how to make meaningful connections with children and teens. Many participants told us they picked up skills they will use personally as well as professionally. They also said they were struck by how seemingly small interactions can have such a powerful impact on youngsters. 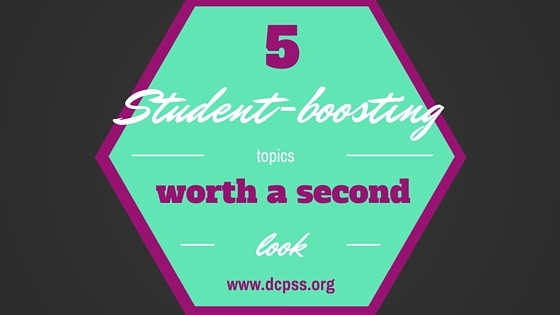 See more about their feedback at http://www.dcpss.org/wp-admin/post.php?post=1520&action=edit. Keep checking in for details and registration forms for the Sept. 18 conference. What did we miss? What tools do you like to use? Let us know in the comments!